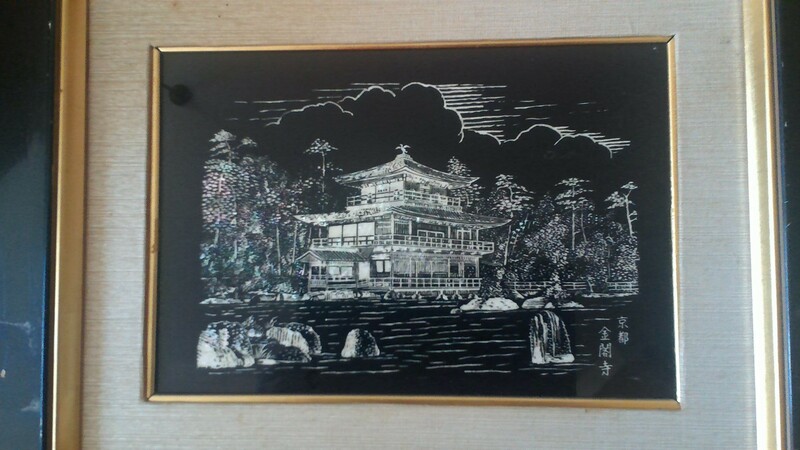 I have these 2 Etchings? Paintings? 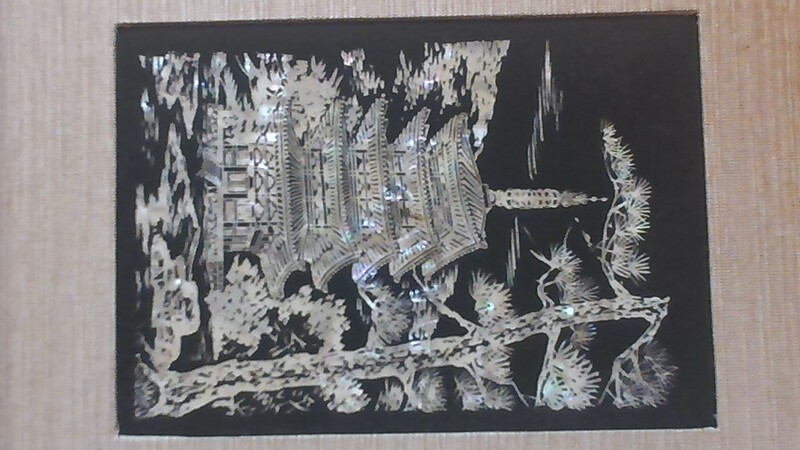 They appear to be Mother-of-Pearl or abalone, with black enamel paint that creates a silhouette of the buildings, trees, etc. One is 8x12, the other is 4x6. There is a signature or studio name on the larger one in the bottom right. Can anyone tell me what it says? Or anything else about these? They are very detailed and beautifully done.